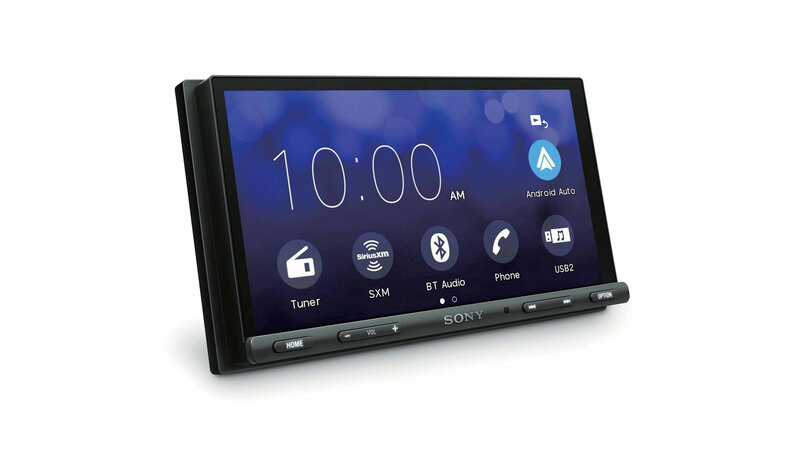 Sony's new XAV-AX5000 Media Receiver gives you the ease & accessibility of your smartphone without your hands ever leaving your steering wheel. 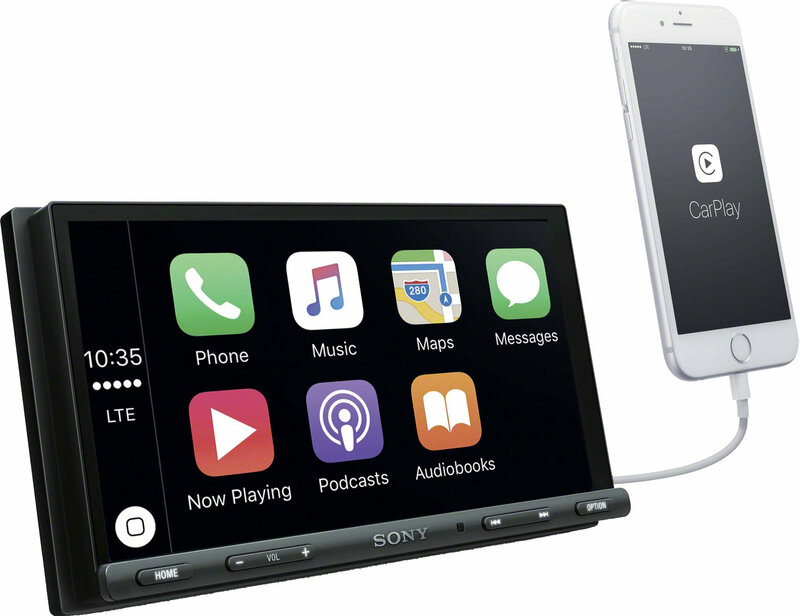 Use Apple CarPlay or Android Auto to access your music, directions, texting or talking with voice commands. Built-in 4 x 55 W amplification delivers clear sound that you can customize to as loud or soft as you want. Rear camera ready so you can back up safely by seeing what is behind right on your dash. 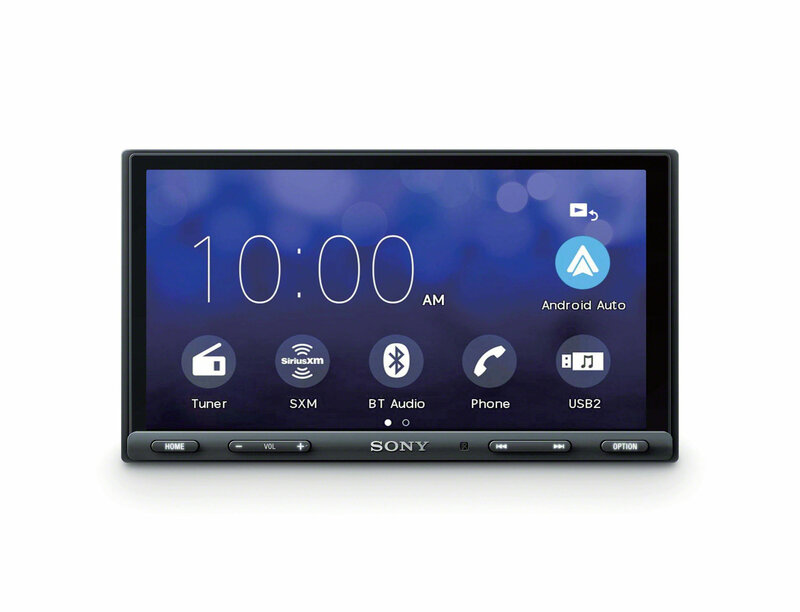 Make the installation easy with the purchase of The Sony XAV-AX5000 stereo with our Quadratec Exclusive installation kit. 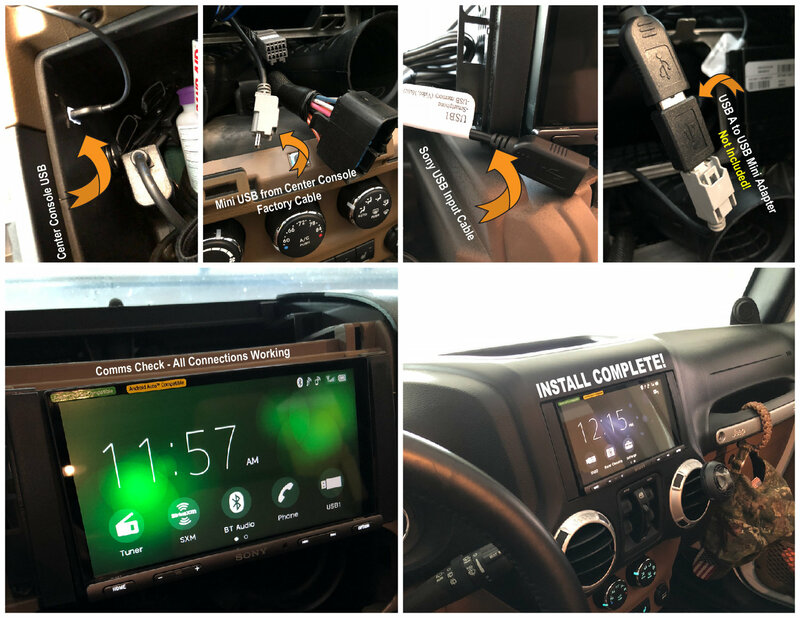 You’ll get absolutely everything you need for an easy, professional looking install including a dash mount kit and our easy plug n play wiring harness. With this harness, there’s absolutely no need to cut or splice any wiring. Simply use the new harness instead of the one that comes with the radio, and you’ll simply plug one end into your factory plug in the dash, and the other to the back of the radio. 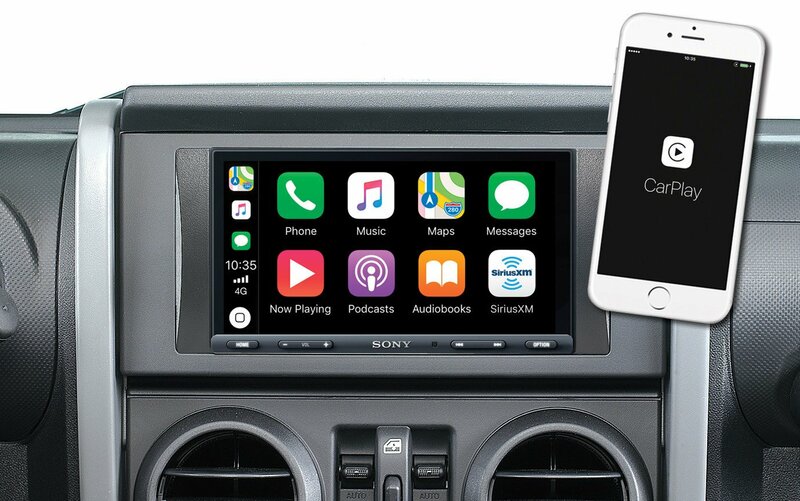 Control with your Smart phone: Using Apple CarPlay or Android Auto you will be able to bring up maps for directions, play music through your phone & talk as well as text without using your hands giving you a safe driving experience. Bezel-less panel: A sleek seamless screen displays your menu clearly laying all of your apps out for easy touch screen access. Simple button controls allow safe use of the volume, sound & voice control settings at the bottom of the screen while driving. Sound options: 4 x 55 W amplification delivers clear powerful sound that you can customize to your liking while the 3 pre-outs will give you the option to upgrade your Jeep's sound system. The built-in amplifiers in Jeeps with factory subwoofers use a digital signal to set fade. Once installed, you will not be able to use your aftermarket stereo to adjust fade. Models without factory subwoofers are not affected. I purchased the Sony XAV-AX5000 through Quadratec along with their JEEP JK wiring harness kit. Based on Quadratec's installation video for the Sony, I was led to believe this was all plug and play. The harness kit did not come with the USB adapter they showed off in the video which is supposed to keep my existing center console USB connected to the radio to allow android auto to function with my phone. I ran both USB's to the glove-box instead. I was also disappointed the kit wasn't set up to use my stock hands free microphone. The harness several spare wires for different options that go with the Sony. The instructions regarding these wires are not real helpful. Some wiring diagrams would help. I did figure it out after burning a couple brain cells. After getting it all put together I ran through all the basic function. Most things work as expected and the sound is terrific. Better than the stock stereo in my JEEP. 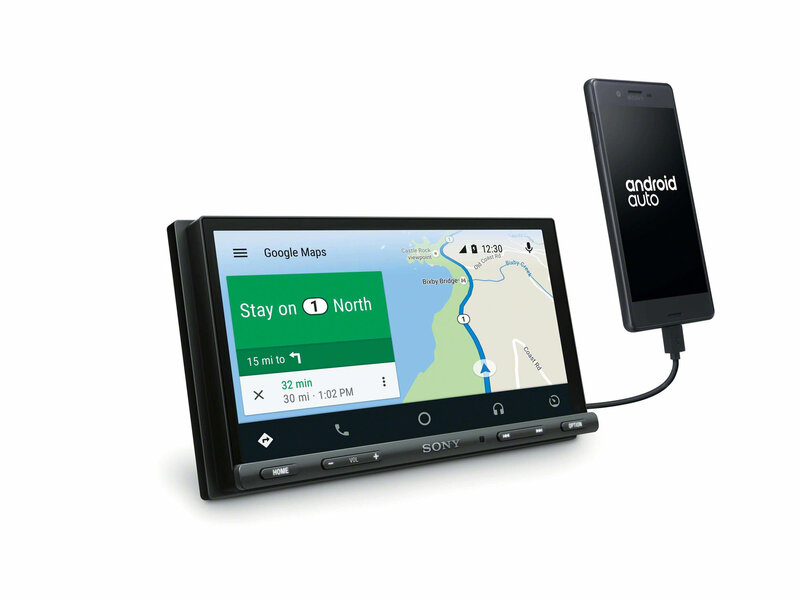 However the Android Auto feature does not work. 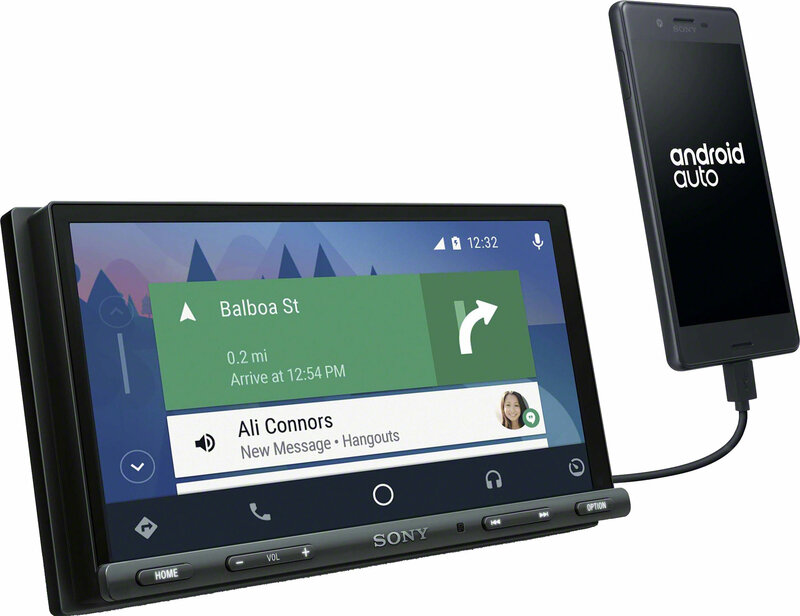 We have the LG-G7 which is one of the phones that is supposed to work with Android Auto so I think it's the Sony. I have read a few other reviews stating they too had trouble with this feature on the Sony. This may also be related to the vague instructions that come with the harness kit. It’s an easy installation to perform if you get the Quadratec wiring harness. Although, it says it only takes an hour, if you are completely new to cars then expect about two 1/2 to three hours. There’s a YouTube video from Quadratec as well which is useful, but I ignored the part where it suggests to cut the top prongs in the steel head unit holder; you can just bend them upward. Also, I don’t have a built in USB in the console like some other people on here, so everything in the kit was sufficient for the install. In addition, I installed a backup camera simultaneously and it works seemlessly. I hooked the rear camera to the cig lighter port so it’s always on, and the feature on the radio that allows you to view the rear camera while in drive works, as well. Moreover, when you go in reverse the unit automatically switches to rear camera. Make sure you connect the two, marked rear camera wires on the harness, though. Bluetooth works, call sound is clear, Apple car play is fantastic and makes this unit miles beyond the factory radio. 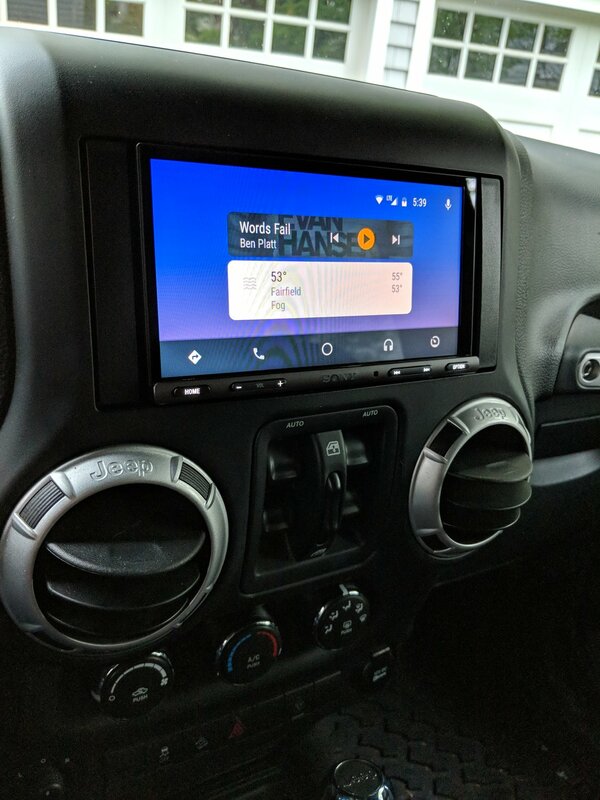 Android Auto works as well. To me this unit was worth it. Absolutely terrible. Does not fit a 2016 JK without a million adapters. Will be returned for sure. Is the Mini B to USB adapter and the serius XM kit needed as well if purchased with the quadratec installation kit or are these parts included? Yes, those components are still needed. If I plan on getting subwoofers in the future, would it be best to order the option that says, "with subwoofer", or "without subwoofer"? The subwoofer option has to do with what your Jeep has from the factory. If you have a factory sub, then you have a built in amplifier that requires special wiring. It has nothing to do with aftermarket subwoofers. If you do not have a factory subwoofer, then you should select the "without subwoofer" option. Does it have a AM/FM receiver?